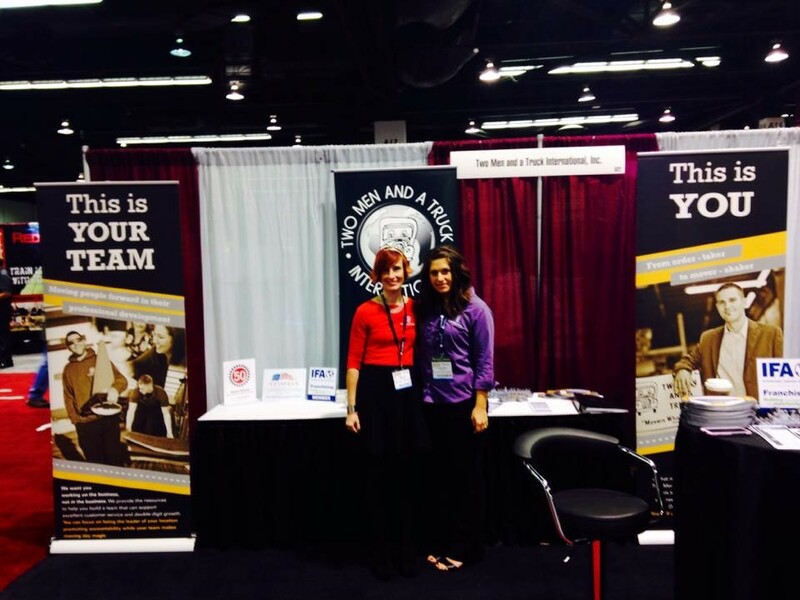 November | 2014 | Franchising You. TWO MEN AND A TRUCK® Boise franchisee, Terry Bruns, didn’t always think franchising was in his future. Starting out in the military, he learned firsthand what it means to work hard and use systems to succeed in business. 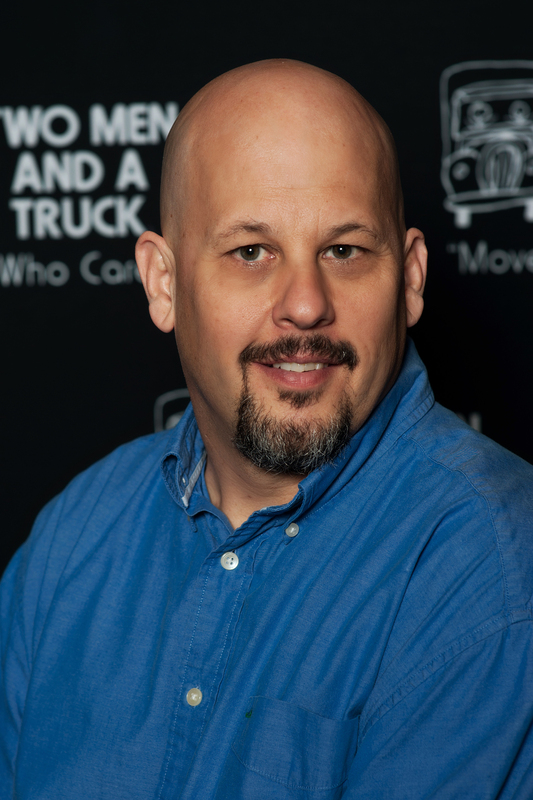 See why he believes his military background has prepared him to be successful as a TWO MEN AND A TRUCK® franchisee. Q: Tell us a little bit about your military background. Terry: I joined the Air Force straight out of high school, I even celebrated my 18th birthday while in basic training. I was a wideband communications equipment specialist, essentially an electronics technician working on a particular type of communications equipment. After basic training and a nine- month technical school, I had my first duty assignment in Scotland where I met my wife. After a year and a half, I went to Grissom AFB Indiana where I finished my enlistment. Q: What made you decide to franchise with TWO MEN AND A TRUCK®? Terry: After eight years buying, rehabbing, and reselling houses, I took a break when the housing market imploded. I thought it was going to be temporary and then I would go back in to real estate, however after about a year and half off, I decided I would explore buying or starting a business. I really wanted to buy an existing business but soon found that most them are for sale because there is something wrong with them and the owner is looking for someone to bail them out. I then looked into franchising and after a very long search, I stumbled upon TWO MEN AND A TRUCK®. The values and the way they did business seemed to be a perfect fit for me. On top of that, my strengths were in logistics and sales, so if fit me very well on many levels. With every other opportunity I explored, the more I looked, the less interested I became, to the point I wondered if I was just afraid to take the leap. Once I started looking at TWO MEN AND A TRUCK® though, the more I looked, the more interested I became. Q: How has your military background helped you run a franchise? Terry: With the military I learned a lot about systems and the importance of them. Once I was stationed at Grissom AFB, I went into a staff position that was all about logistics and it was certainly a strong suit for me as well. Here I discovered the importance of preparedness as well as how to respond when things were not going right and how to move forward in a positive manner. Q: Explain why you feel TWO MEN AND A TRUCK® is a good work environment for military personal. 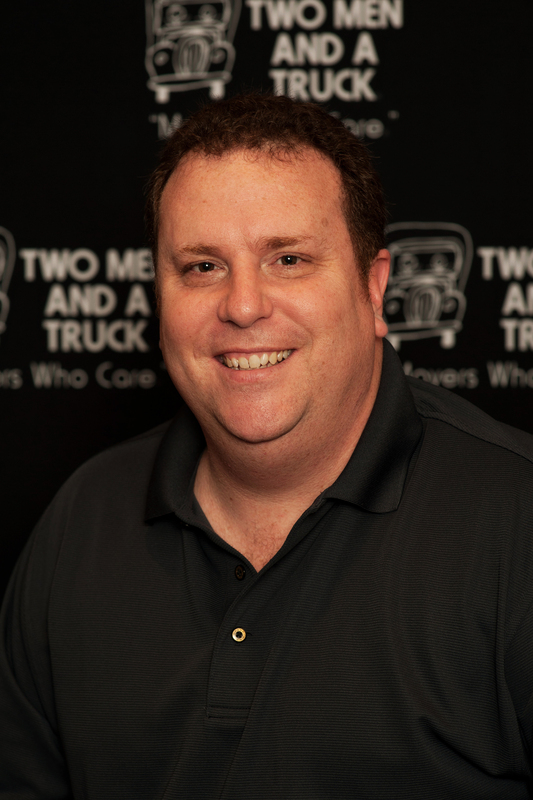 Terry: TWO MEN AND A TRUCK® has a great sense of brotherhood and camaraderie which is something I think a lot of people miss once they leave the military. The sense of discipline helps a great deal as well. As mentioned previously, knowing the importance of preparedness and how to respond to the unexpected, allows you to really capitalize on skills you develop while in the military. Q: What are some big accomplishments you’ve recently made at the franchise? Terry: We are about two and a half years old and there have been more challenges than I expected. Primary due to turnover in a couple of key positions. Even though we currently we have 20.3 percent growth in our revenue, we haven’t experienced the growth we wanted or even that we should have accomplished. However I am very proud of the fact we maintained world-class standards through all the difficulties, and this year, we have maintained a 98.4 percent referral rate. We focused not on being “better” than our competition, but on being the “best we can be”. As a result, we have set the bar in our market very high. Even compared to the TWO MEN AND A TRUCK® system, which as a whole sets a very high standard, we have been able to maintain a position very near the top in every measurement for customer service and for that I am very proud of our team. Overall we have had success and are blessed to be part and share the brand that is having record success around nation. Q: What are your future business goals? Terry: Our growth projections for 2015 is 36% year over year while maintaining over 98% referral rate and over 4.8 overall satisfaction. It is important to us to keep the customer service ratings that high as we believe that reputation is of higher importance that just the growth on its own. I believe we are only at about 30 to 40 percent of our markets potential at a minimum, so we have a lot of work ahead of us just in our market and that is our number one focus. We continue to build a great team and are in the process of fully implementing open book management which will allow us to continue building our already great team and provide opportunities for our team members. With that being said, I want to provide as many opportunities for our team members as I can so we are allowing ourselves to think about expanding into another market soon. If things go as planned we hope to be planning a new market opening in the next 12 to 15 months. With the setbacks we faced this past summer, we know we have a lot of work to do to get there and although it’s not a sure thing, with the team we have, it is certainly possible. Franchisee Jeff Brown has been a TWO MEN AND A TRUCK® franchisee in Valparaiso, Ind., for 10 years. Although Jeff had no professional moving experience prior to joining TWO MEN AND A TRUCK®, he came from a customer service sector, and joining the international moving company was something he’s never thought twice about. Jeff worked in his family’s auto repair business for 14 years. When the industry experienced a tumultuous period and permanent evolution began to unfold, Jeff began looking at other opportunities. A moving franchise may not be at the top of the list in terms of business ownership; however, there isn’t a person who hasn’t personally moved dwellings or at least known someone who has went through the experience. Prior to visiting the corporate headquarters to meet with the TWO MEN AND A TRUCK® executive team, Jeff wasn’t 100 percent sold on the idea. After meeting with them, Jeff and his wife, Laura, both looked at each other in the car, and knew they wanted to join the growing company as the brand’s newest pair of franchisees. Ten years into his franchise ownership and with and holding a 13 percent revenue increase, Jeff continues to watch his operation flourish. This past June, July, and August were his location’s three best months of revenue ever. In the third quarter of 2014, the franchise experienced more than 10 percent growth. Jeff also strives to keep a strong focus on customer satisfaction surveys and maintain high customer satisfaction and referral rates. Being in a smaller market with roughly 366,000 people, Jeff said their goals for next year are to maintain their current double-digit market share and are aiming for a 12-15 percent growth over 2014, which was their single best year yet. 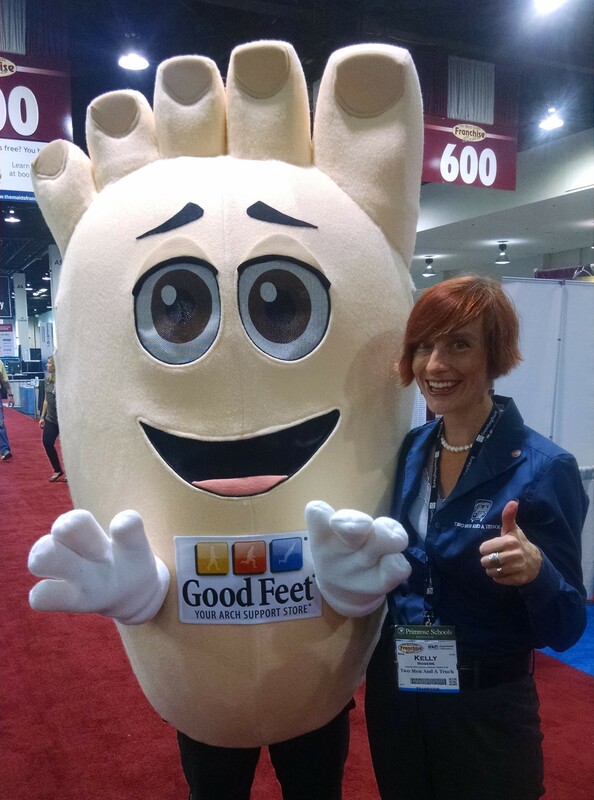 Jeff recommends new system franchisees network and get to know fellow franchisees, as this is the perfect network to reach out to friends for their perspectives or to glean best practices in the business. For more information on franchising, or to read additional franchisee success stories, visit twomenandatruckfranchising.com. 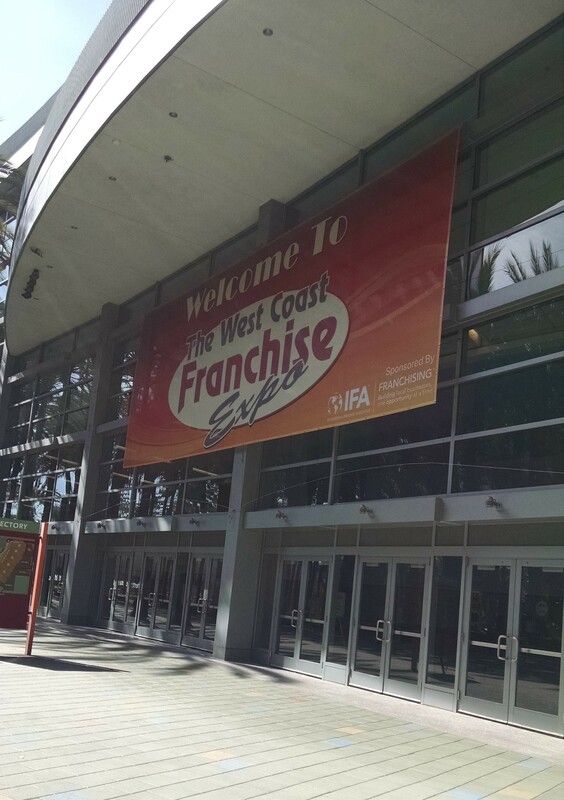 Last week, Franchise Development Director Kelly Rogers and Media Relations Coordinator Lindsay Dow spent three full days at the West Coast Franchise Expo in Anaheim, California. With the west coast and California a huge focus for TWO MEN AND A TRUCK®’s further expansion, there was a fantastic opportunity to educate those in California about our continued growth and success. In the West there are still those who have not seen trucks around but or are as familiar with what TWO MEN AND A TRUCK® does, and the opportunities which exist within the system. With over 58 months of growth and record number of expansions in was a unique opportunity to share with many the locations still available in the West for expansion. Overall the show was a success, having networked and spoken to hundreds of people, sharing TWO MEN AND A TRUCK®’s unique history and franchising opportunities. What is TWO MEN AND A TRUCK®? TWO MEN AND A TRUCK® is an international moving company specializing in local and long distance home and business moving services. The company also offers packing and unpacking services, along with the sale of boxes and packing supplies. TWO MEN AND A TRUCK® is a franchised moving company with 324 locations in 38 U.S. states, Canada, Ireland, and England. Are there open territories in LA? Yes! California is an area of focus for expanding the TWO MEN AND A TRUCK® brand. Currently there are just a handful of franchises within the state — San Diego, Sacramento, Pleasanton/Livermore are all existing franchises, and Beach City will be opening in the coming months. California is unique for our brand in that several outstanding locations are still available. We have had so much success throughout the country it’s only natural these locations will fill up fast in the next few years. 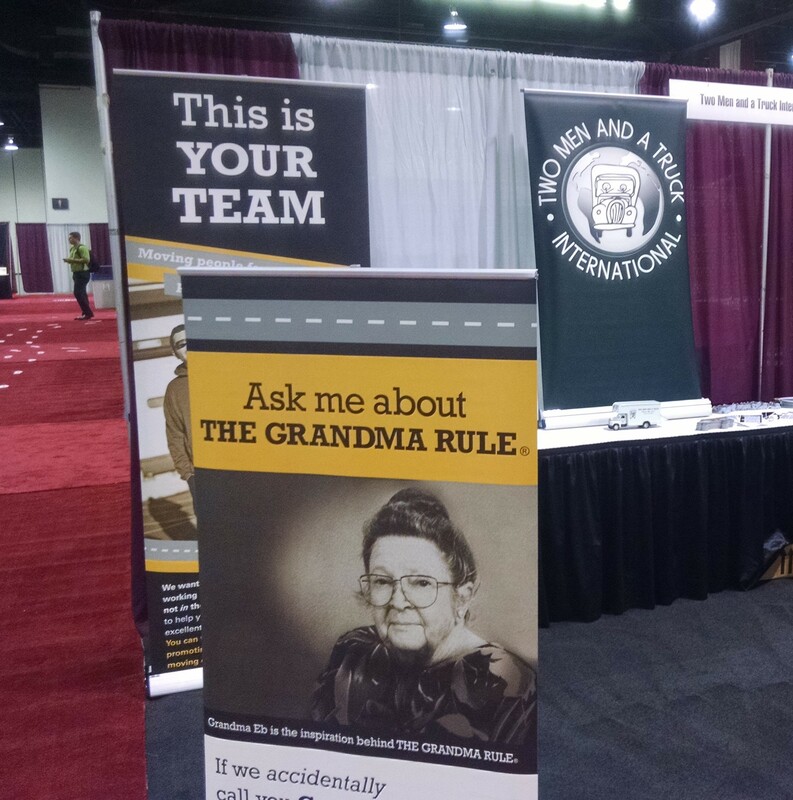 What is the GRANDMA RULE®? The GRANDMA RULE® stems from TWO MEN AND A TRUCK®’s very own grandmother, Grandma Eb. Grandma Eb lent a small but mighty hand when TWO MEN AND A TRUCK® was just getting off the ground. Lending her house, driveway, and backyard-barn to house the trucks and other items for the company. The GRANDMA RULE® means to treat everyone the way you would want your grandma to be treated. This rule really resonates with each TWO MEN AND A TRUCK® team member, especially the movers and drivers who are known to take extra care of their older customers on move day. How much will it cost to be part of the brand? The TWO MEN AND A TRUCK® franchise fee is $50,000. This includes use of the brand trademarks, cloud-based IT system, and Home Office resources in all areas including human resources, operations, marketing, finance, and IT to ensure your business is a success. Startup capital for your business will require upwards of $250,000 for purchasing trucks, hiring staff, acquiring a building, etc. Be sure and visit twomenandatruckfranchising.com for additional information on TWO MEN AND A TRUCK® franchising opportunities.